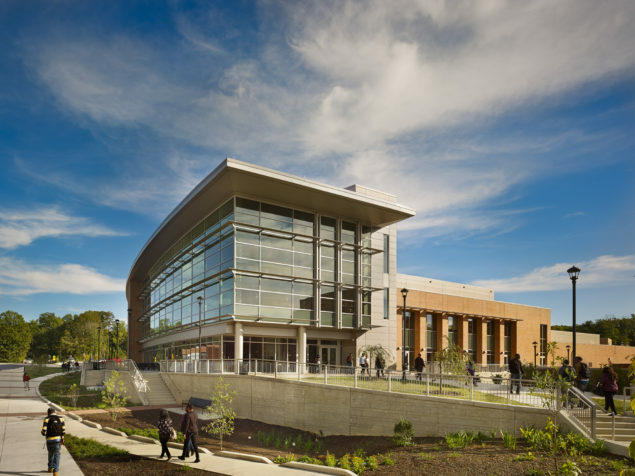 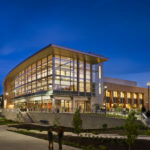 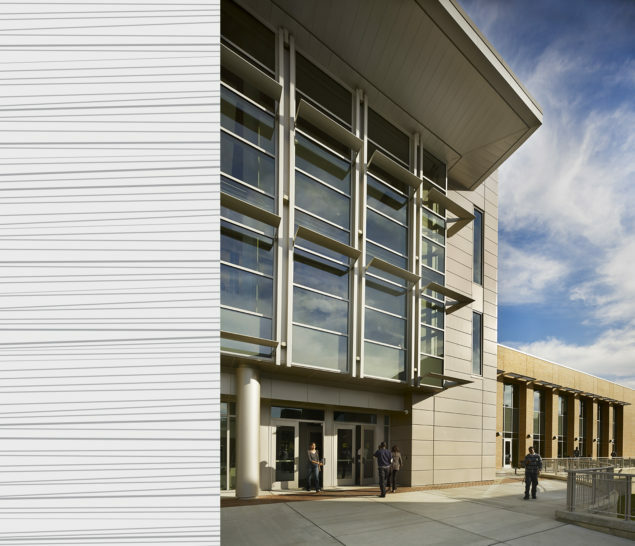 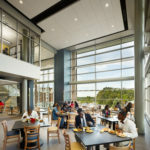 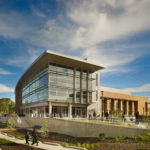 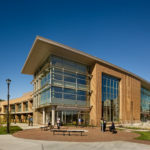 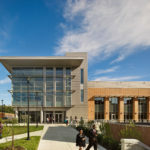 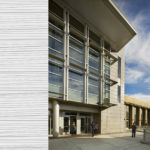 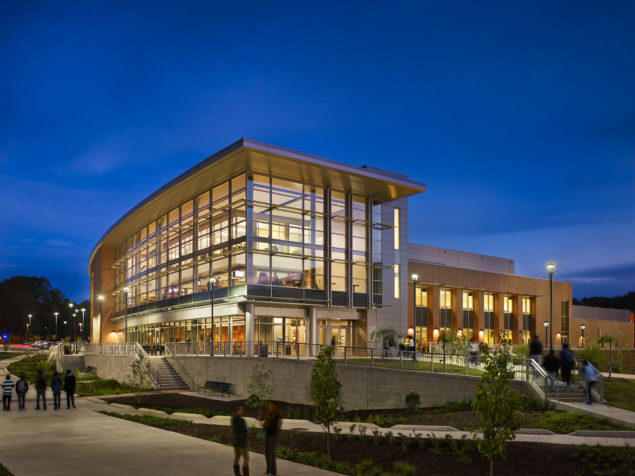 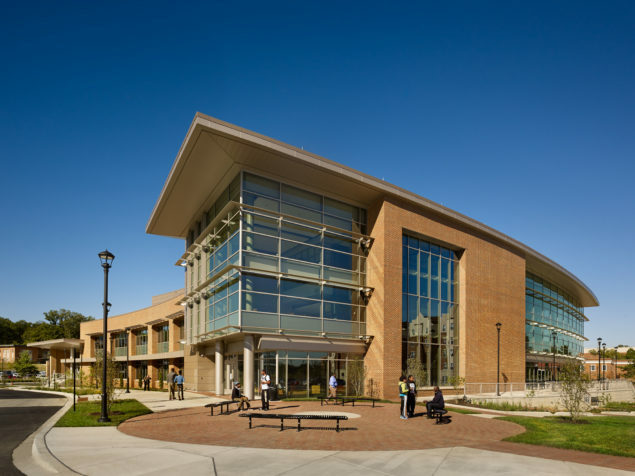 The Student Center, with its numerous innovative sustainable characteristics, has become a catalyst for green design initiatives throughout the University and a powerful tool for educating students. 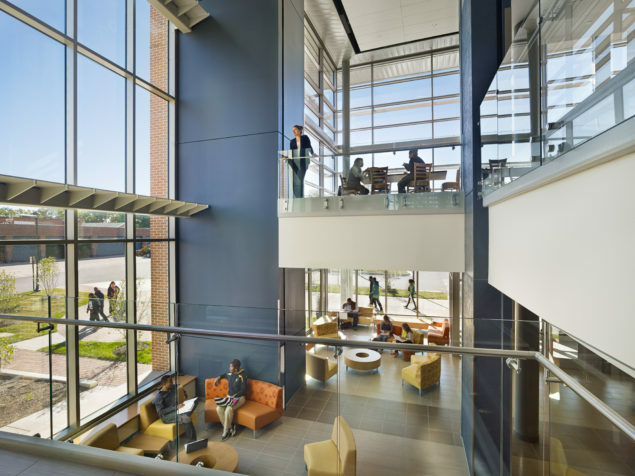 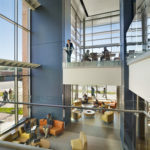 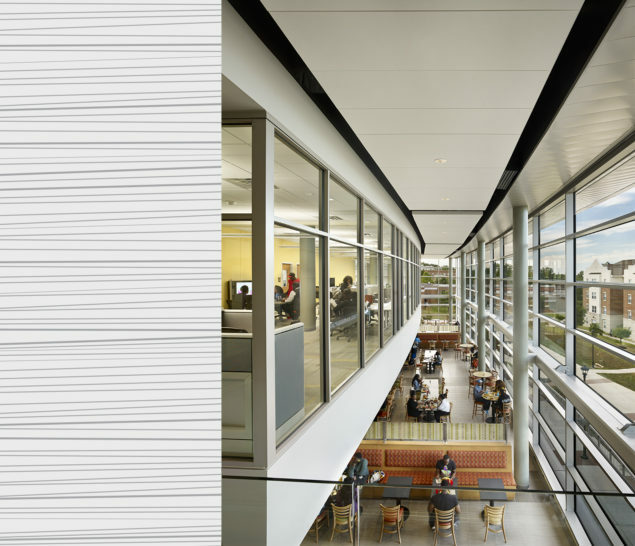 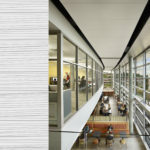 The highly transparent and dynamic building successfully integrates essential program components. 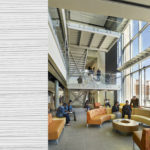 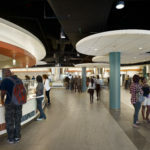 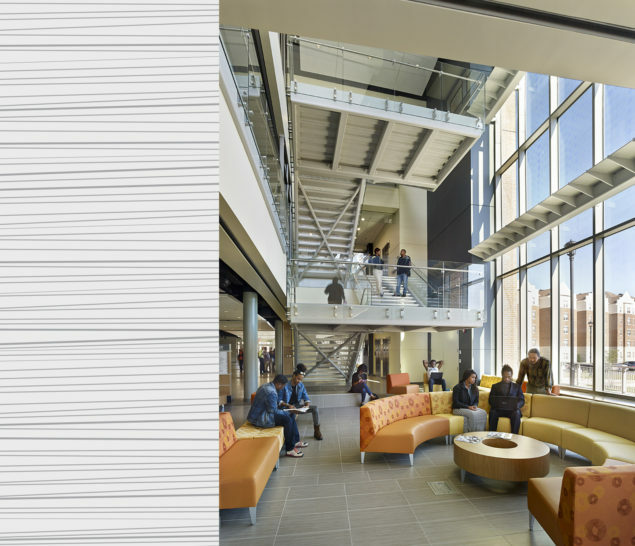 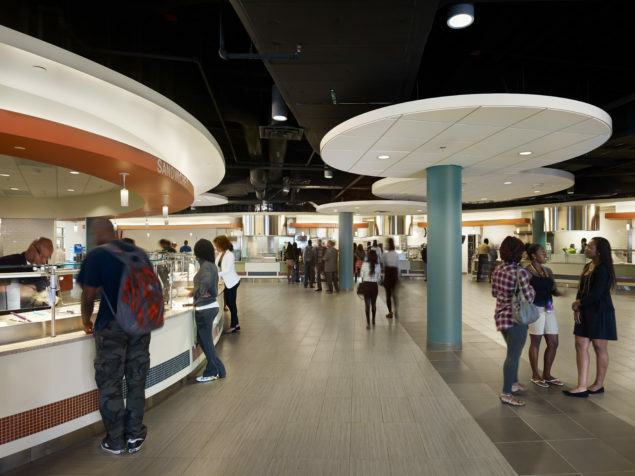 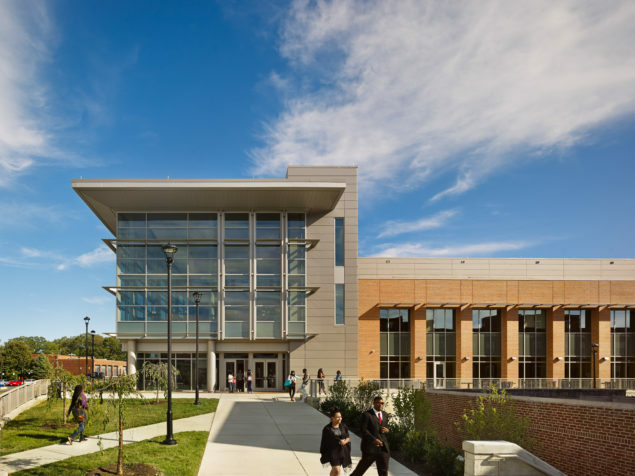 An information center, student organization offices, student services, vibrant social gathering and recreation spaces including lounges and a game room support student life. 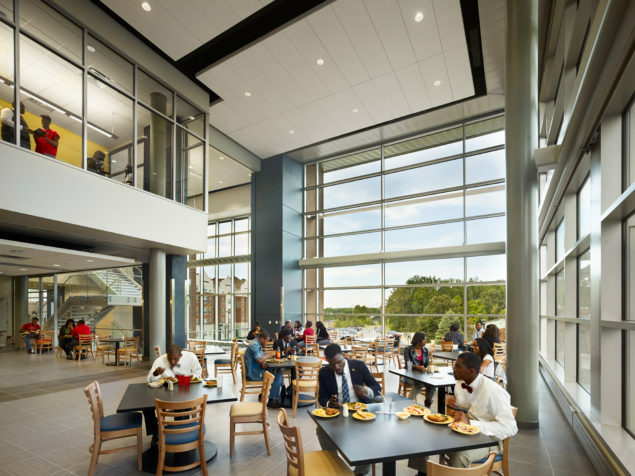 Retail and residential dining, conferencing facilities, a multipurpose ballroom, and a 150-seat theater provide additional amenities .